Sponsored by C3Workplace. 26 Park Street, Suite 2000. 12:30PM. Does it feel like your to-do list is unmanageable? Your client follow-up is backlogged? Not enough time in the day and it’s a struggle just to keep your head above water? It takes work – very hard work – to keep all the wheels in motion for your business to function on a day to day basis. What if it were easier? During this event, we will get to the root of how your good intentions may be sabotaging your success and how to shift the behaviors that may be blocking your growth. You will learn: How to go beyond managing your time to managing your priorities Why it’s important to take a good look at your "busy-ness" Why working in your “Zone of Genius” is critical to your business growth How you may unknowingly be setting yourself you to fail Simple tricks to staying focused, on task and avoiding business burnout If you are ready to learn how go beyond just managing your time so you can crush your goals and set up yourself up for extraordinary growth, join us for this complimentary event. Reservations / registration required by 05/08/2019. 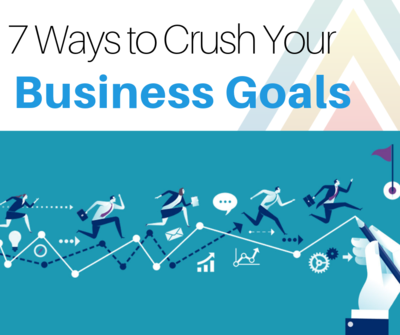 For more info: https://www.c3workplace.com/events/7-ways-to-crush, kelly@c3workplace.com, 9737837900. Free.